If you’re armed with the right tools and a little know-how, you’ll never even think about hiring someone to handle this simple task again. Let’s be honest. Drywall repair is not something most people look forward to. Although it’s relatively straightforward in theory, if you have ever done it then you know that the dry time of the mud and all the dust created by sanding can turn the task into a big hassle. If you’ve repaired drywall before and your results didn’t turn out as seamless as you had envisioned, then you may be inclined to pay someone else to deal with it next time. 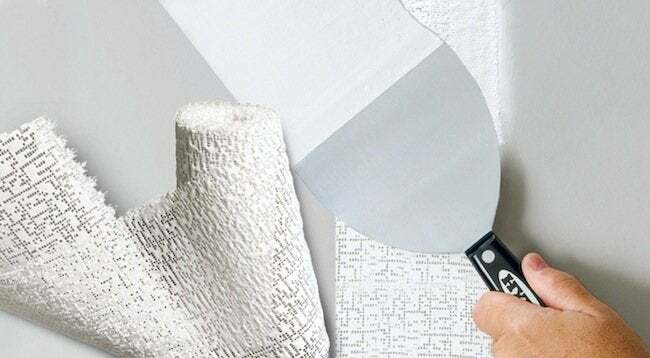 Before you tackle the job again (or just throw in the towel), check out these helpful hints that will make drywall repairs easier and smoother. HYDE Bear Claw Drywall Repair Clips in use. If you have a large hole to repair, the first thing you need to do is cut a square piece of new drywall larger than the area you are repairing. Hold the new piece over the hole and trace around it. (Be sure to mark the top of the patch as a reference for when you install it as it’s not likely to be a perfect square.) 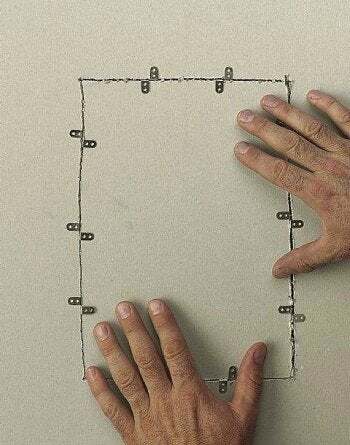 With a drywall saw, cut along the lines that you just traced. The new hole is now ready to accept the drywall patch. There are several ways to keep the new piece flush with the existing drywall, but the easiest way is to use Bear Claw Drywall Repair Clips from HYDE Tools. Simply clip them on the drywall and slide it into place; no nails, screws, or tools required. Apply drywall tape or HYDE’s Wet & Set (in roll form) over the clips and seams, and you’re ready to finish with mud—in other words, joint compound. For holes smaller than a baseball but bigger than a nail hole, there’s an easier patching solution than cutting a new piece of drywall. HYDE’s Wet & Set Repair Patch is a flexible sheet of water-activated patching material that dries within 30 minutes. It is impregnated with joint compounds and polymers specifically designed for patching walls and ceilings. Simply cut the patch to the size you need, dip it in water, and smooth it over the hole. After about 30 minutes it’s ready for finishing with mud. Regardless of which method you used, once the patch is in place, it’s time for finishing. Apply a thin coat of mud over the patch, making sure to overlap a few inches onto the existing wall surface. The key here is to use a joint knife in order to get the most uniform results. (Don’t use a narrow spackling knife that you might use to fill nail holes.) Also, don’t apply too much mud; a thin coat is more desirable and will make sanding that much easier. Wait for it to dry, and apply a second thin coat until smooth and seamless. Sanding is the messiest part of the job because the fine dust gets everywhere. Even if you cover your furniture and floors with plastic, dust still seems to infiltrate every nook and cranny. The best investment you can make here is HYDE’s Dust-Free Sponge Sander. It connects to wet/dry vacuums equipped with fine dust filters to remove dust while you are sanding. This tool is particularly useful for any drywall repair job in a finished area of your home. Remember, the key to effective sanding is to use long and broad strokes so you seamlessly blend in the dried mud. Avoid getting carried away and sanding too much—you don’t want to expose any clips or edges of the patch. Note: Before you paint, make sure the patched area feels smooth. With your eye close to and parallel to the wall, look down to see if it’s completely flat (doing so now will eliminate the pesky “hump” that sometimes becomes visible after painting). Also, don’t forget to prime the patched spot before painting or the finish will look dull compared with the rest of the wall. Following these simple tips and techniques can take the headache out of drywall repair and save you from calling in a pro for such a small job. Plus, when you’re all done, you get to enjoy the satisfying feeling of stepping back and admiring your work—even though in this case your work will be completely undetectable!